MMMT: Stacking Discounts to Save on Contact Lenses! Monday Morning Miles Talk MMMT MMMT: Stacking Discounts to Save on Contact Lenses! 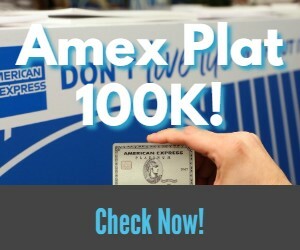 Are Amex Offers that pay out MR a good deal? Stacking Discounts to Save on Contact Lenses! My wife was in need of some new contact lenses. She had an eye exam several months ago but wasn’t in need of more contacts at the time. We could have simply ordered them from her Doctor’s office but I wanted to see if I could take advantage of some discounts. I remembered that Amex Offers had an offer for Contacts Direct. It was for $30 off of $150. That was a good start but I figured there had to be more. I went to cashbackmonitor.com to see if Contacts Direct was a member of any shopping portals. Top Cashback was offering a 10% rebate on Contacts Direct. So I clicked through their portal to Contacts Direct to complete my order. The order cam to a total of $249.96 plus tax. The $55 in discounts from the Amex Offer and Top Cashback was a savings of 22% from the regular purchase price, before taxes. But it gets a little better. Contacts Direct asked if we have vision insurance, we do. So I clicked the yes box and they instantly credited $49.99 off of the purchase price. To be honest, we recently changed insurance companies so I am not sure if that is accurate to our benefits. They didn’t even ask for my insurance information. At first I thought they must verify it with the Doctor’s office since they call them to confirm the prescription but they gave the credit before doing that. Plus the last time my wife was at the Doctor’s office she had different insurance. Needless to say I will send it in to our insurance company to see if we are due any more compensation. The interesting thing is Top Cashback is still showing a payout (10%) based on the original $249.96 ($25). I will know for sure if the payout tracks at that amount in a week since it is payable after two weeks. Another indirect savings is the fact that the Amex offer is a credit after the fact…not a direct savings. This means that you can submit the full amount to your FSA account. That saves you whatever your tax rate is on that $30 credit, not much but something! You can use Amex Offers and cashback portals to save you money on a wide variety of things, including some medical costs. By stacking these discounts, and saving on taxes with my FSA account, I was able to reduce my out of pocket costs by close to 30%. It will be interesting to see which rate Top Cashback ends up paying out at and if I can get further discounts from my insurance company. Perfect timing! My wife and I need contacts. I haven’t found discounts with them, but they are always the cheapest anyway for soft lenses. You might dummy up an order & see how they price out compared to what you just ordered. I have personally found Contacts Direct to be high, even net of discounts. Doctor’s offices typically charge around $8/each (or $48 for a box of 6). I get for almost half that cost by ordering with web eye care. I have a complicated scrip & YMMV, but it’s a good comparison tool anyways. Thanks Pam – the prices seemed to be pretty much in line with the Doctor’s office in the past. I will have to check out webeyecare next time though. Thanks! I just ordered contacts for my son. I figured I would use my Amex offer for Contacts Direct but ended up ordering through someone else. Contacts Direct will price match to about 4 specific competitors (I think it was Costco, Walgreens, Walmart, ??). Might be worth taking a quick look to see if you can save even more. You can just call if you find a lower price and they’ll do the adjustment. Interesting tip about the vision insurance! Thanks! Good info – thanks Patty!